You sit in front of the computer, stare at the screen and hastily type in your ideas, the buzzing modern connecting you to a community called the Internet. In 2006, “You” were the Time’s person of the year. In China, “you” are called a netizen, one of about 0.162 billion people that dramatically affected the Chinese society in 2007 and deserved the title conferred. In 2007, the internet performed as a platform on which people fulfilled what they might not be able to fully enjoy in the reality — the freedom of speech, the public participation and the pursuit of justice. In China, the internet was a copy, an extension of the real world. To know about the former, you might know about the latter. On 12th, Oct, Zhou Zhenglong, a Shaanxi farmer, shot pictures of a South China tiger that was thought to be extinct and was then called a hero. 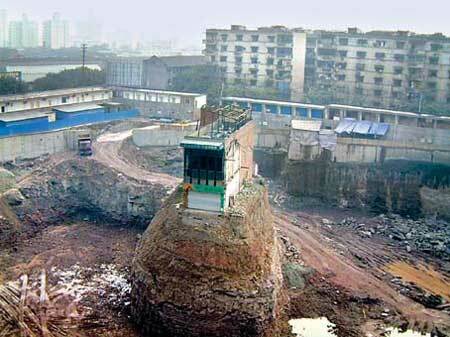 Two months later, however, he was very likely to be, along with the Shaanxi（陕西）Ministry of Forestry, the biggest liars in 2007. Who turned them down were millions of netizens that got to the bottom of the matter. There were professional photographers that scanned every pixel of the photos to doubt their authenticity; there was a botanic expert from China Academy of Science who, based on the plant around the tiger, put forward his questions. There was even a netizen that managed to fumble out an age-old picture that was recognized as the original copy by which Zhou made a fake, flat tiger on a plastic board. Also not absent were skeptics that analyzed the financial gain got by the Ministry of Forestry once the existence of the tiger got proved. In the age of credit-lost, the amazing number of netizens took finding out the truth as their responsibility, venting their indignation towards liars while Zhou and the Ministry have hitherto withstood the billows of inquiry. 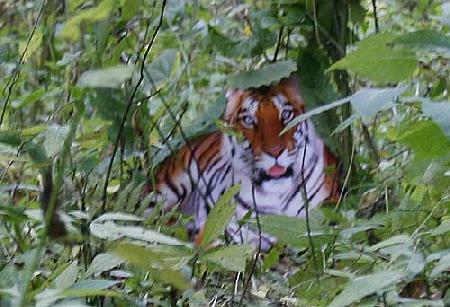 The speechless tiger staring from behind the thicket has marked the 2007 of China. — Taking Back Our Town, Assembly! Who could be the people of 2007? Southern People Weekly gave an answer: Xiamen (厦门) citizens. When their legal rights got ignored, when their health and life were put under danger, when they confronted the conflict between GDP and environment, Xiamen citizens refused to remain silent and bravely stood out, by a peaceful manner, reaching what they deserved. Though the PX project could bring a $100 rise on GDP every year, the poisonous material might endanger Xiamen since it would border on the residential area, only 16 km away. Zhao Yufen, a scientist in Xiamen University, was aware of the harm and collaborated with 104 members of CPPCC to put forward a proposal in National Political Consultative Conference, while it was later voted down. Though under news control and information block, the Xiamen citizens still circulated a cell phone message among a million people to summon a struggle for a clean hometown. 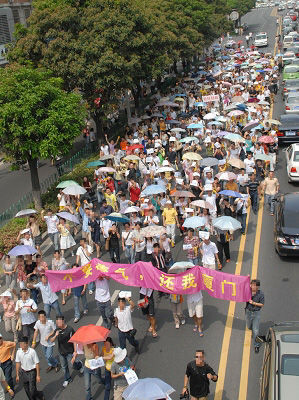 On 1st, June, thousands of Xiamen citizens came to the street and “had a walk”. They yelled out the slogan “serve people”, and had no conflict, no violence during the demonstration. The government now as well showed tolerance. Finally, an unprecedented interaction between the authority and the public was conducted, during which the public opinions were consulted via the internet and hearing. 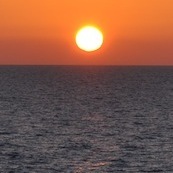 The procrastination of the project told the temporary victory of people. Xiamen citizens pioneered the communication between the folk and the official, but no one should forget how this was gained: persistence, courage, and reason. Chongqing(重庆). An isolated earth platform stood upright in the pit of a building site. On the platform was a lonely house, unyielding and erected — in the eyes of many Chinese it has become a symbol, a totem. It represented a bullheaded fight against the overbearing power, a clear statement that the private ownership could not, and should not be trampled. In March, 2007, the new Real Right Law was passed. Soon after this, a picture appeared on hundreds of websites. In it, the two-story house remained the last building of the deep pit. The mass media caught the hot news and soon found the owners were a couple that refused to move because the compensation was thought to be too low in comparison with the regional price. Moreover, the owners’ opinion had never been consulted before the developers came to dismantle their houses. They alleged: no compromise without representation. The internet paid the incidence a continuous concern, during which a hot debate going. The couple insisted the land was sold to the developer for commercial use, with nothing related to the so-called public interest. Most netizens sided with them. Nail households all over the country came to Chonqing to support the couple. It was like a sitcom which millions of people collectively acted. On 22nd, March, the scheduled demolishment approved by the local court didn’t come. The male owner flaunted the national flag to show his determination on staying with his home. Finally, the couple got a satisfactory compensation and agreed to move in April. In the uproar of bulldozers, a legend ended. The incidence performed as a torch-bearing case of the new law, also a collective harvest of so many netizens, who sat before computers staring at the event, or went in-person to the site to support the weak. Wind may come in, Rain may come in, but the King may not. When we can’t be real citizens that enjoy the rights we deserve, we refer ourselves to the internet and become netizens. We seek justice and efficiency in this unreal world, while all we did are for a better reality. But the nature of internet can’t guarantee how much we get is true, and whether we are good people, or just a mob that loses discretion. On 15th, July, Jiangxi TV broadcasted a program that featured a poor girl, who kept vomiting blood, black and blue all over the body. 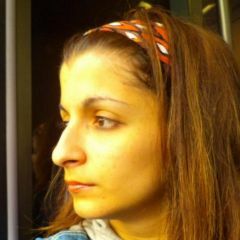 The interviewed doctor concluded the girl must have been tortured. At the end of the program the girl timidly said her stepmother had hit her. The most spiteful stepmother then ran into the public sight. Furious netizens circulated the video clip and the girl’s picture, condemning the cruelty of that stepmother. When donating for the girl, people also launched “flesh search engine”, an activity that relied on the large number of people to search out information, far more powerful than simply Google or Baidu. Soon the stepmother Ms. Chen was ransacked out. Waves of scolding and threat were poured onto Ms. Chen. She was called the most evil woman in China even though she kneeled down to the journalists crying that she had never beat her daughter. But after the careful investigation, the police found no clue of abuse and the official report showed the girl got hurt because of a slip, and it was her disease on cruor that made the wounds more terrible. More investigations indicated millions of people might have been hoaxed by the TV station and a few netizens that tried to catch eyeballs. Up till now the real story was still unknown. But many netizens had apologized to Ms. Chen. When the manipulated goodness evolved into the online violence, people had to reconsider whether the internet without regulation could really bring in a better world. And a more serious problem might be whether Chinese people are able to carry out self-government, and how to. You can see caution, but cannot see lust on mainland China because over 7 minutes of sexual scenes in this film by Oscar Best Director Ang Lee were cut out. But there are always methods to slip through the cordon. Hundreds of people organized tourist groups to Hong Kong to have a watch of the complete version. 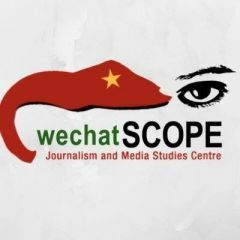 Moreover, a video clip of the cutout, stealthily shot in a Hong Kong theatre, was uploaded by several netizens to video-share websites and soon gained thousands of clicks and wide circulation, a fact that disabled the ban of the State Administration of Radio, Film and Television. Later, whether Lust, Caution exculpated the traitors again came to under the debate. This controversial movie turned to be the NO.1 entertainment topic on the strength of the internet. Tencent QQ is a Chinese IM software that has the largest number of users in the world (over 0.2 billion). The Coral is its welcomed add-on which was able to block advertisements and show friends’ IP. But the developer of the Coral, a computer teacher Mr. Chen, was arrested in August, 2007 because Tencent sued him of infringing QQ’s copyright and gaining wrongful benefit from his product. According to Tencent, its profit on advertisement was plundered by the Coral, which revised the QQ and replaced the advertisement of Tencent with its own ones. But on the internet, netizens divided into two groups. One of them agreed with Tencent, while the other has more supporters that thought the Coral expanded the population of QQ clients, and Tencent knew, and even connived Chen to develop his product from the very beginning. In their eyes, suing the Coral was a betrayal of an old partner. Now the case is still under trial. — What have I done to deserve this? 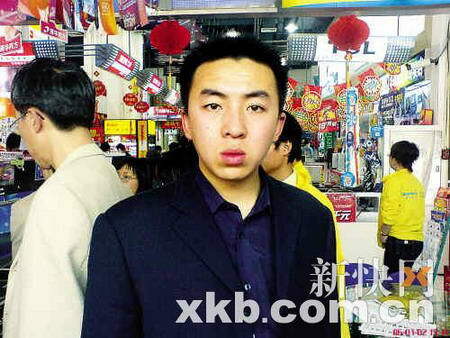 Last year, Xu Ting, 24-year-old, would never predict an ATM could change his life. On 21st, April, 2006, when he took out cash from an ATM in Guangzhou, he found every time he took 1000 RMB only 1 RMB would be deducted in his card. 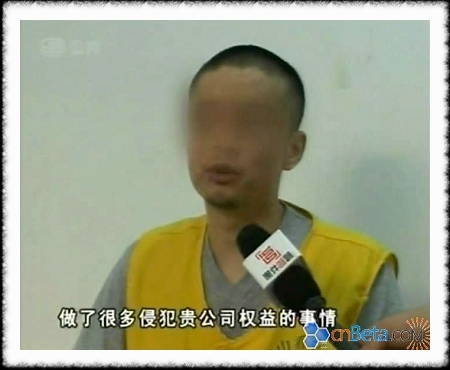 Thus along with a friend, he took out money for 17 times of totally 175 thousands RMB ($23000) and then escaped. One year later, he was captured and got life imprisonment in the 1st trial. The imputation was “theft of financial agency”. Experts, common people and mass media together engaged to a hot discussion. Every article on law was researched and much legal knowledge was broadcasted. People resorted on law and reason to discuss on the topic, the folk voices sounded in a practical and peaceful way. People expected to see a change on the sentence in the coming 2nd trial. 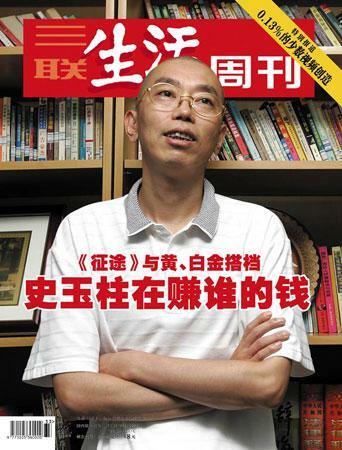 An article by Cao Yunwu (曹筠武) in Southern Weekly (2007-12-20) revealed the dark side of a Chinese online game Zhengtu (征途) from the point of view of a common gamer. It depicted how the game came to be a copy of the reality that money spoke, power dominated and why the game makers could gain amazing profit from the greed of people. The article reflected the real society, pointing out a high-handed “system” controlled everything. Of course, it would not be a favor of the boss of Zhengtu, Shi Yuzhu, who not long ago had sponsored an activity exactly on the Southern Weekly. 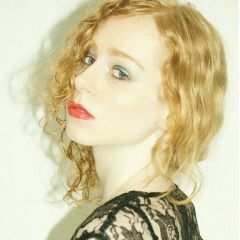 Therefore people soon found the article disappear on the online version of the magazine. People realized it was the wealthy company that persuaded the magazine and used money and power to erase the negative news related to it. It was thought to be so ridiculous that the “system” depicted in the article was so soon confronted in the reality, a fact that depressed many netizens and caused them to desperately condemn the game company. When the mass media were not only obsequious to the authority, but were also prostrated to money, the independence and objectivity of journalism seemed to be so remote from us. *More events will be featured in China 2007: Society. And if you have any suggestion of other events that you think can mark the China 2007, please feel free to comment.